I studied at UCR as a undergrad double major in Studio Art and History. I came from a competitive high school so freshman year was easy. GE was easy for me for the first 3 years but then I think the faculty started grading harder and demanding more. 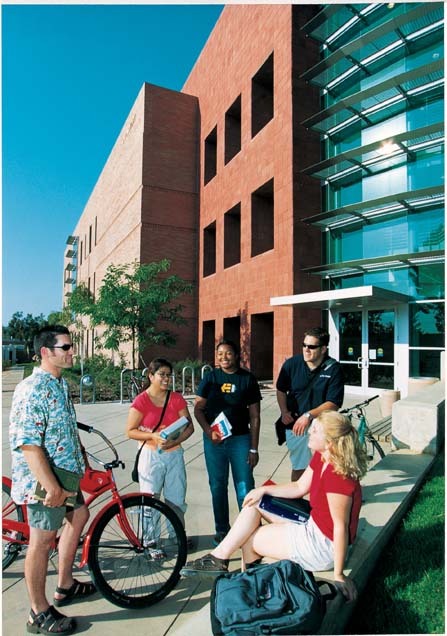 UCR has world-class teaching faculty with very good teacher to student ratio (at least at the time). GE English class was 15-20 students. Professors are friendly and approachable if you make the effort to talk to them and go to office hours. I think that is the best part about UCR, almost all of the professors are really accessible and helpful. The history and studio art faculties are world-class and it's really how you make of it. There are bright students in history as well as art but most are not that competitive, but if you want to go the extra mile, the resource is there. I can't say anything bad about the teaching staff and even the administration is quite good. There is a sense that my departments care about the student and the busy admin staff take the time to talk to each student at least twice a year just to make sure you are not missing classes. The only downside to UCR is probably the social life, people are friendly and all but there is simply not much big event in Riverside. You will have to drive out to LA (which is not too far) for concerts and etc. I find people at UCR to be friendly, open and down to earth. It is the most culturally and racially diverse campus in US (maybe the world). People learn about others and how to live with one another. UCR lack a strong school team to support and school spirit is a bit low but I hope that will change. However it is close to the mountain for winter activities, just one hour drive and you can get cheap pass from student life or rec centre. One good thing about living in RIverside is the cost of living.There are cheap food, bargain grocery store and renting apartment can be cheap. However, choices of Asian food is not ideal, I hope that has changed.